A student life is a fairly simple life. It involves lazy duvet days and late wake ups and anything more is considered a strenuous day. This guide aims to make your life in the city as easy and stress-free as possible and will provide you with everything you could possibly need to know during your stay in Barcelona. Whether you’re an Erasmus student here for your year abroad or only fortunate enough to spend a few days in this fabulous city, it doesn’t matter! Read on to find out about accommodation, partying, the best cheap bars, how to get over your hangover, where to find cheap nosh, top free things to do, how to get around the city and how to learn the lingo. Centric Point (Passeig de Gràcia, 33): Located on the impossibly fashionable Passeig de Gràcia, it is a somewhat unlikely setting for a youth hostel. Spread across 6 floors, it provides a spacious and comfortable stay. Despite its minimalistic décor, rooms are clean and include the basic essentials. The hostel also has a rooftop terrace where you can buy cheap drinks in preparation for a night out on the town. 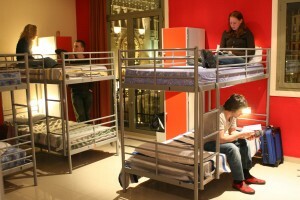 Shared dorm rooms can be rented from €20pp including breakfast. Kabul (Plaça Reial, 17): With its ideal location in the heart of the Barri Gòtic on Plaça Reial, it provides easy access to Barcelona’s hot spots. With its lively atmosphere and daily influx of party goers, perhaps reconsider staying here if you´re looking to have a quiet weekend of sightseeing. In the larger rooms there can be up to 20 people so a good night’s sleep is not necessarily on the cards. Within the price of €20pp, breakfast is included. If you’re here for a month or more as part of your studies, your best bet is to rent an apartment. Check out Apartment Barcelona´s website where you can browse a wide selection of fabulous apartments, available for long term stays. Whether you´re wanting to live in the trendy Born district or by the beach in Barceloneta, they´ll have something that fits your taste and criteria. In the city that never sleeps, Barcelona knows how to throw one hell of a party. With many clubs open until 6am, be prepared to party ‘til sunrise but make sure to enjoy your night the savvy way. First things first- go to a club that offers free entry. Head to the Port Olympic Strip before 1am where flyers will be given out entitling you to free entry to the city´s best beach clubs including Opium Mar, Pacha, CDLC, Shoko and Danzatoria. Avoid getting a taxi as they tend to be overpriced. Instead, opt for the metro which is a quick and cheap means of transport and offers a 24 hour service on a Saturday. The Lime house (Carrer dels Carders, 31): A relatively new addition to the Barcelona bar scene yet already a favourite amongst students and travellers. 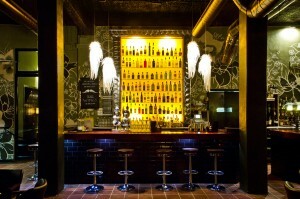 This happening bar is ideal if you´re with a large group and looking for somewhere with a young and vibrant atmosphere. The display behind the bar is stacked from top to bottom with over 70 homemade gins of every conceivable flavour. From wasabi to roast lamb, this bar is truly a gin lover´s haven with something for everyone. It is possibly most famous for its killer mojitos starting at 3.50€ which will no doubt set you up for the night thanks to their generous measures. Situated in the trendy Born neighbourhood, there are plenty of other great bars and clubs close by. Alternatively, if you´ve got the munchies and its time to call it a night, why not treat yourself to a bite to eat from the Lime House´s Mexican style menu. 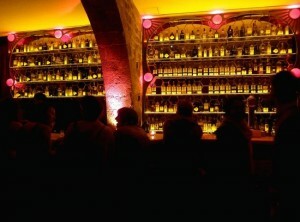 33/45 (Carrer de Joaquín Costa, 4): This hidden gem is possibly one of Barcelona´s coolest bars, tucked away in the Raval district, and well worth a visit for a unique drinking experience. Order your drink from the bar as you come in, and take your drink to the relaxing seating area where you will find a sea of mismatched sofas and armchairs. With its homely vibe it’s like going from one living room to another, and it’s the ideal place to have a quiet drink or to begin your night. One of the best ways to meet other students and to experience the fantastic nightlife that Barcelona has to offer is to do a bar crawl. 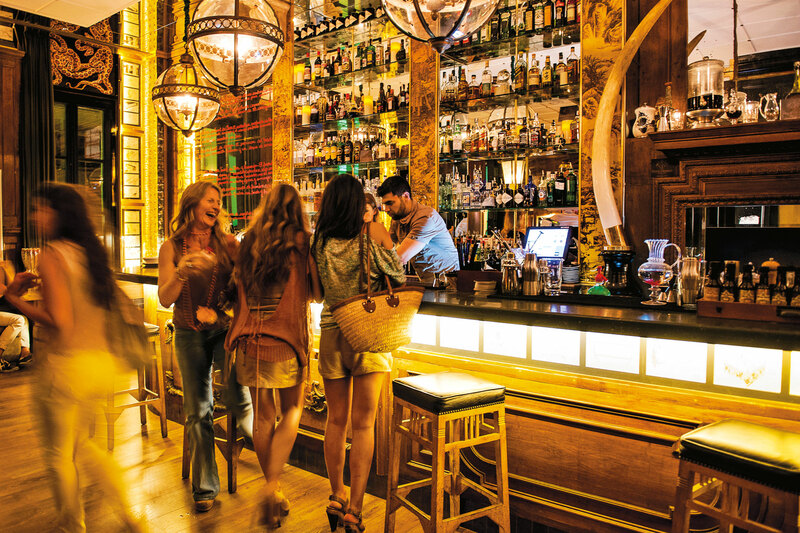 “Barcelona Bar Crawl” begins with four bars and finishes at one of the city´s best clubs and guarantees a memorable night (or not so memorable for that matter). They meet at the Gaelic Bar (Carrer del Paradís, 4) at 10.30pm, 6 days a week, Monday to Saturday, so there really is no excuse whether you´re here for a weekend or a week. The bar crawl is priced at 20€ including club entry. It’s the morning after and you feel like death. 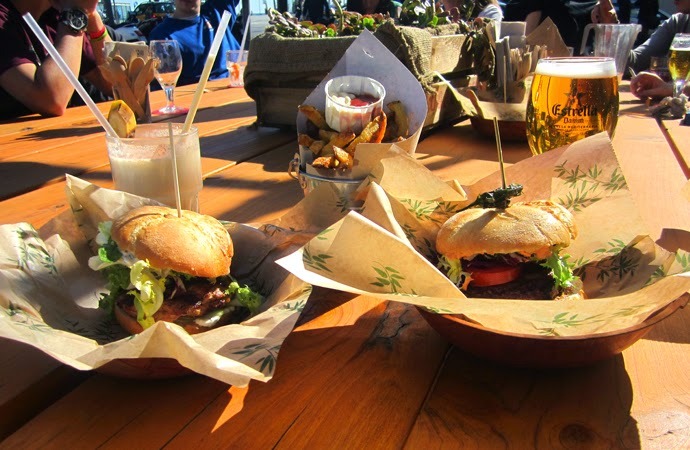 There´s only one thing on your mind when you’ve got the hangover blues: food. Marmalade (Carrer de la Riera Alta, 4-6): A funky art deco bar at the top of the Rambla del Raval that will be sure to satisfy all your food cravings. With its generous portions of all things ´brunch’, tuck into your choice of pancakes, eggs, omelettes, breakfast burgers- everything you could ever want to soak up that excess alcohol. 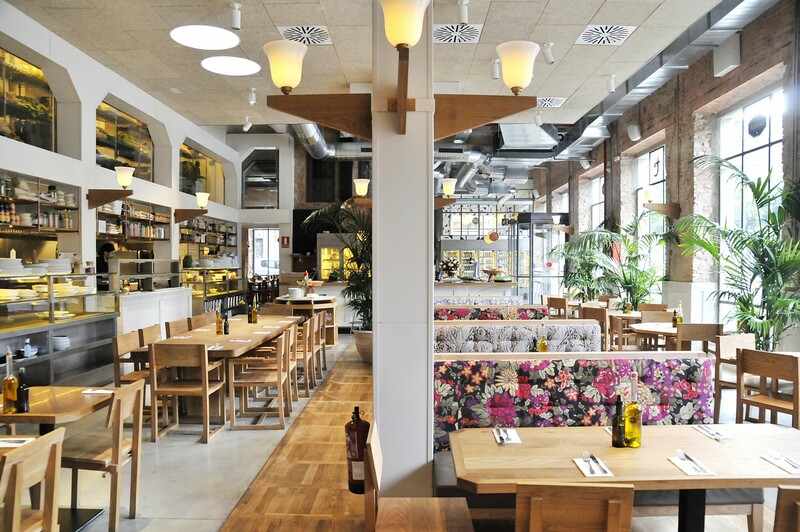 Each dish is under 10€, so a meal at Marmalade´s not going to break the bank after an expensive night on the town. They also serve a range of delicious smoothies, perfect if you´re in the need of some vitamins. And if you´re still feeling a little iffy, there´s an outside terrace where you can go for a breath of fresh air to clear that dreaded hangover headache. Flax & Kale (Carrer dels Tallers, 74): Make a b-line here for an utterly divine selection of cold-pressed juices, cold-pressed purées, veggie-nut milks, smoothies and wellness shots. With revitalising flavours from the weird to the wonderful, each concoction will leave you feeling as good as new. Drinks are also available to take away, so fear not, you can traipse back to bed if the thought of noise and people is too unbearable. Makamaka (Passeig Joan de Borbó, 76): The place that serves the mother of all burgers. 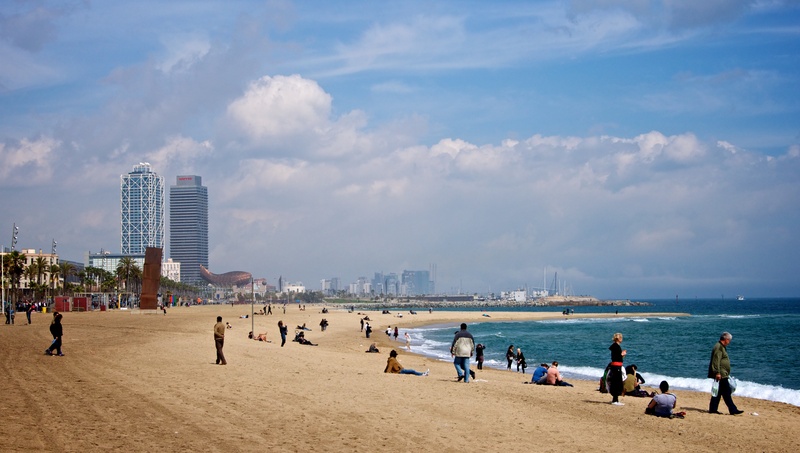 Located just by Barceloneta beach, it is the perfect spot for a bite to eat and to chill out with friends. With all burgers as scrumptious as each other and all under 10€, it´d be foolish not to finish a day of tanning here. And if you´re trying to maintain that perfect beach bod, Makamaka also offers a range of delicious salads priced around 7€. Arc de Triomf WOK (Passeig de Lluís Companys, 19): As a student, the idea of an all you can eat buffet i.e. food and more food, is simply heavenly. With every kind of Japanese food imaginable: sushi, fresh seafood, rice, noodles- the list is endless- why eat anywhere else? Whilst the concept of ‘dessert’ can be somewhat foreign to some Asian cuisine restaurants- and if it is offered, it’s rarely done right- WOK hits it on the head. Serving ice cream, fruit, mousse, yoghurts and various puddings, there really is something to suit each and every taste. 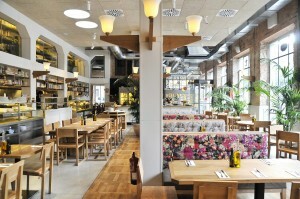 And what’s more, if you go during a weekday at lunchtime, it’s only 9.95€! Top 5 Free Things to do in the City. Did someone say free? In a city that oozes with things to do, why fork out an arm and a leg? There are plenty of ways to entertain yourself and to enjoy the spectacular sights that the city has to offer without spending a penny. So head over to our top 5 and have a ball. Free museums: With over 55 museums in Barcelona, you can hardly make a trip to the city without a wander round its most famous art galleries and museums. Yes, entrance to museums can be ridiculously overpriced (plus the expense of any gift shop purchases, we all do it,) however, many of Barcelona´s top museums open their doors to the public for free. The Centre D’Art Santa Mònica (contemporary Catalan art) and the Metronom (art considered too experimental for mainstream art galleries, but who doesn´t love edgy?) offer free entry every day of the week. The CCCB, MNAC and Picasso Museum offer limited free entry on the first Sunday of every month, all year round. 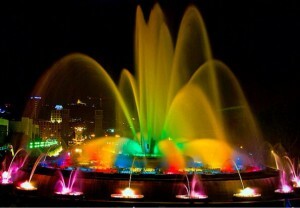 Magic Fountains (Plaça de Carles Buïgas): Located on Avenida Maria Cristina in the Montjuïc neighbourhood lies Barcelona´s greatest free open air show. 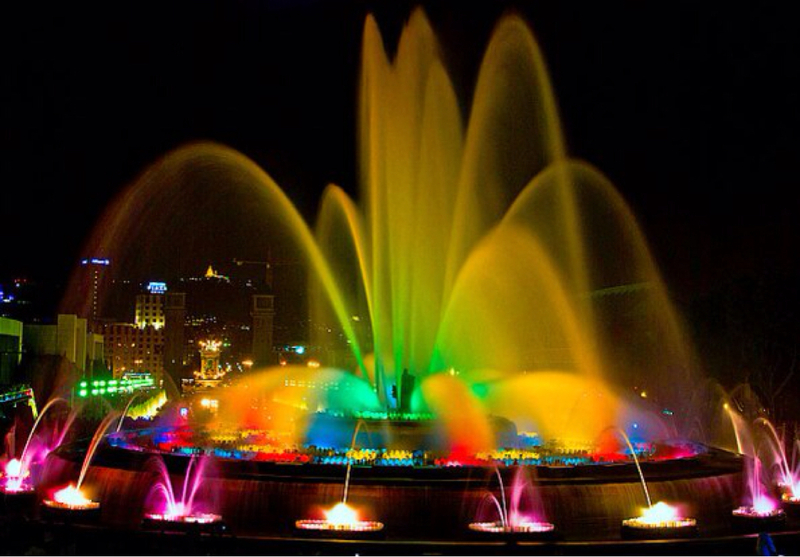 For a truly magical experience that will sweep you off your feet, head to the fountains for a sensational display of water acrobatics, music, lights and colour with over 50 kinds of shades and hues. Check the website for running times as it varies throughout the year. Montjuïc Castle (Ctra. de Montjuïc, 66): No one likes a Sunday afternoon. It may mean that you´re coming to the end of your Barcelona trip or you´ve got the dreaded thought of work tomorrow. Take your mind off things with a free visit to the castle after 3pm and enjoy the magnificent views of the Mediterranean from the viewing dock. Bask on the Beach: Its free and you end your day looking like a bronzed god/goddess- what more could you possibly want. So grab your favourite classic, find a quiet spot on the beach (it can be a challenge, but persevere), and enjoy that glorious Barcelona sunshine. If winter/autumn is looming, a stroll on the beach with pals is a great alternative to sunbathing. 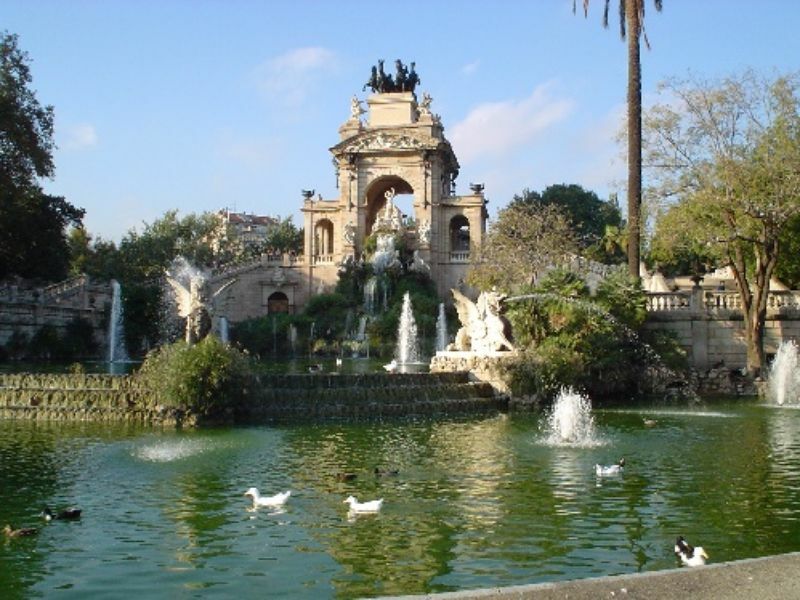 Parc de la Ciutadella (Passeig de Picasso, 21): One of the most idyllic places for a day out in Barcelona. Spend your day strolling through the beautiful gardens and prepare to be amazed by La Cascada, a spectacular ornamental fountain. With plenty of picturesque spots surrounding the lake, bring a picnic for an alfresco lunch. If you´re willing to splash the cash, you can rent a rowing boat for an affordable 6€ and spend your afternoon sauntering along the lake without a care in the world. The best way to get from A to B? Students. They´re notoriously lazy and everything in life must require the minimal amount of effort. Now, ordinarily this would mean jumping in a taxi (similar to what you´d do if you’re late for a lecture) and demanding that your driver takes you wherever your heart desires. However, with Barcelona being a much smaller city than you may think, it will actually take longer to reach your destination by public transport than by walking. This is obviously within reason, it´s not recommendable to walk to Sitges, for example. Thanks to Barcelona´s distinctive grid layout, it is extremely easy to navigate your way around the city and it is almost impossible to get lost. especially with Google Maps at hand. Walking from place to place doesn´t cost you a penny, it allows you to see more of the city and it doesn´t entail having to wait for trains and changing lines which can all be a bit of a palaver quite frankly. So make the most of your time in Barcelona and don’t waste time faffing with transport! It´ll make your life a lot easier if during your time in Barcelona you pick up a few key phrases to get by. Nothing complicated, just the usual ´How much does this cost?’, ‘How do I get here’, ‘Can I have a table for….’, you get the drift. Locals really appreciate it if you make the effort to converse with them in their own language (this being Catalan or Castilian) and will be a lot more willing to help you as a result. Most people think that the best way to learn a language is by doing an expensive language course for a couple of weeks before coming to Barcelona. But why? Learning from the locals is free, it gives you the opportunity to make new friends, and not only do you learn the language you also gain a cultural understanding. Obviously there´s the issue of how to meet locals, but in a world run by social media it´s really not as hard as you may think. With a quick browse online you will come across thousands of Spaniards and Catalans who want to teach their own language as much as they want to learn English. So get online and get learning. You now know just about everything necessary for your trip to Barcelona so there´s only thing left to do- go and enjoy!